This property’s location, attention to detail, cleanliness and variety of restaurants/lounges inside exceeded our expectations. My husband and I made the right choice when we decided to stay at the Jumeirah Emirates Towers for our honeymoon. Coming from Miami, FL, we were hoping the hotel would be centrally located, have employees that speak English and offer a broad range of amenities. This hotel went above and beyond! Also, the rose petals on our bed the first night was a great welcome! Thank you JET!!! Good location. Very good view. Very friendly staffs. Nice high end hotel. Very accommodating staff. Just be aware that you pay for what you get and this place is expensive (i.e. add-ons, on-site restaurants, bar, travel/excursions desk). 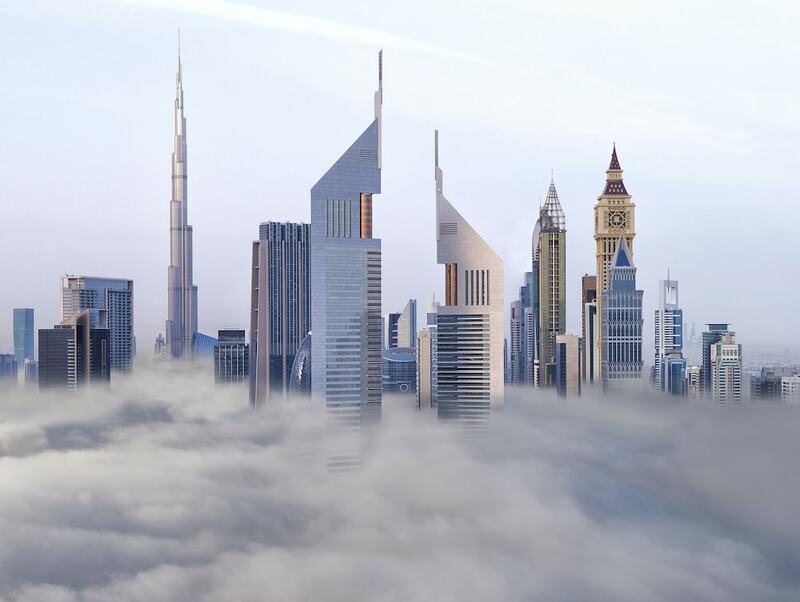 So if you want to be more thrifty (relatively speaking, because let’s face it - Dubai is quite expensive everywhere) maybe not the best place, but if you want to make are most of Dubai and money is no problem, you won’t be disappointed. very nice and clean hotel and close to public transpotation. However, it is far from the beach. We had to ride a hotel bus to the beach and water park. This is hands down the best hotel i have c ever stayed at, anywhere in the world! Great hotel, excellent customer service is not tip oriented. Wonderful experience with high class staff. Everything was taken care of for us from the moment we got to the hotel. The staff really made the experience more enjoyable. We will be back! What can I say about this hotel but amazing. The staff at check in were really friendly and helpful (I don't remember all the names but Gladys was extremely nice) We stayed from July 16th thru July 23rd, 2017 and thoroughly enjoyed our stay. We booked the Executive Lounge which we used almost everyday, service is beyond excellent. The staff in the Club Room was great.... Gretchen , Anil to name a few (cannot remember all the names) a special thank you. Please pass on our thank you to Ali in Mundo very polite young man. Special shout out and a big thank you to Mina from Ribroom Restaurant and Bar .We dined there two nights and he did a fantastic job, very friendly, always greet us in the lobby, the amazing thing is that he remember our name!! A job well done Mina!! We booked our tours via the Rayna Tours desk in the hotel lobby, the Travel Consultant Mirza Ali was very informative and helpful, we told him we want to do private tours and oh he did a great job in giving us very knowledgeable guides, not forgetting the best driver for the Desert Safari!! Thank you Mirza Ali! Finally, regarding the Hotel everything was beyond perfect. Our bedroom had a stunning A Dubai Skyline view, including the Burj Khalifa. Such an amazing sight to wake up to everyday. My two adult children enjoyed every minute of their stay in Dubai. Our stay at JET was fantastic from start to finish. Everything was wonderful! From the check in to the check out. Clean, elegant the staff was knowledgeable and very friendly. We loved it! Great hotel, amazing accomadations and efficient staff. It is a pleasure to stay in a place that provides thorough accommodation. we did a lot of siteseeing tours . The hotel was very beautiful but was were cold to visitors it seems to be more for buisness. i cannot compare this trip because it was our first to this part of the worls. Moments from the Dubai Mall and Burj Khalifa, and directly accross the street from the DIFC (the Arc de Triomphe-shaped building), the Emirates Towers is a great location to stay while in Dubai. It's also not too far a drive from the Jumeirah/Jebal Ali beach action. Emirates Towers Hotel is a lovely place to stay, with comfortable rooms and helpful staff. Located in Trade Center, Jumeirah Emirates Towers is a short distance from popular attractions such as Dubai International Financial Centre and Dubai International Convention and Exhibition Centre. This 400-room, 5-star hotel has a private beach, a full-service spa, and 6 restaurants. It's connected to a shopping center in central Dubai and also close to Dubai World Trade Centre and Dubai Mall. Relish the international cuisine at Mundo, one of 6 onsite restaurants. Order from 24-hour room service to satisfy your hunger without leaving your room. Buffet breakfast is offered for a fee each morning from 6:30 AM to 10:30 AM. A 42-inch TV comes with satellite channels, and guests can stay connected with free WiFi and wired Internet. Select Comfort beds sport premium bedding and the bathroom offers a soaking tub, a hair dryer, and designer toiletries. Other standard amenities include a fireplace, a sofa bed, and a sitting area. Guests of Jumeirah Emirates Towers have access to a private beach, a full-service spa, and an outdoor pool. If you plan to drive, free valet parking is available. The 24-hour front desk has multilingual staff ready to assist with luggage storage, concierge services, and dry cleaning/laundry. Other amenities at this beach hotel include a children's pool, a health club, and a spa tub. Mundo - Restaurant and bar specializing in international cuisine. Open daily for breakfast, lunch, and dinner. Alta Badia - Restaurant and bar specializing in Italian cuisine. Open daily for brunch and dinner. Daefi Lounge - Restaurant specializing in international cuisine. Open daily. Alta Badia Bar - Bar specializing in Italian cuisine. Open daily. The Rib Room - Steakhouse and bar specializing in international cuisine. Open daily for dinner. Jumeirah Emirates Towers features a private beach and a health club. The hotel has an outdoor pool, a children's pool, and a spa tub. A sauna and a fitness center are other recreation options. The preferred airport is Dubai (DXB-Dubai Intl.). Distances from the property's location to the airport are straight-line distances and may not reflect the actual travel distance. Zabeel Park: 1.7 mi/2.8 kmDistances from the property's location to the point of interest are straight-line distances and may not reflect the actual travel distance. Book a stay in any room or rate category and receive unlimited access to Wild Wadi waterpark, private beach, and complimentary shuttle service.